Fancy winning the Summer wardrobe that you desire? 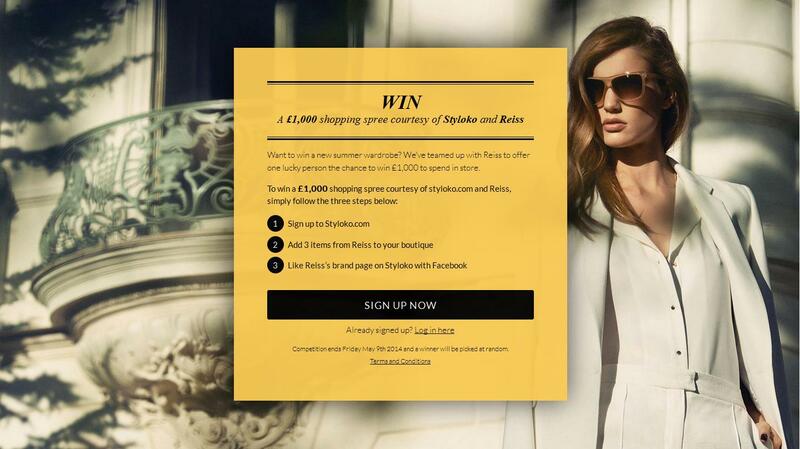 Well you can be in with a chance of doing just that, Styloko and Reiss have teamed up to give one winner the chance to win a £1,000 shopping spree. All you have to do is sign up to Styloko.com, add 3 items from Reiss to your boutique and like Reiss's brand page on Styloko with facebook. To sign up now and be in with winning this fantastic prize do so here. Reiss can be found on Twitter. Reiss can be found on Facebook. Ends 9th of May. Winner selected at random.